Memorial Auditorium above and below. 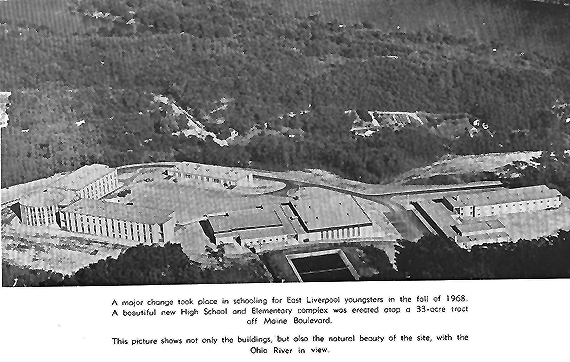 The top four pictures show what would be considered the High School complex for a good portion of the 20th Century in East Liverpool. 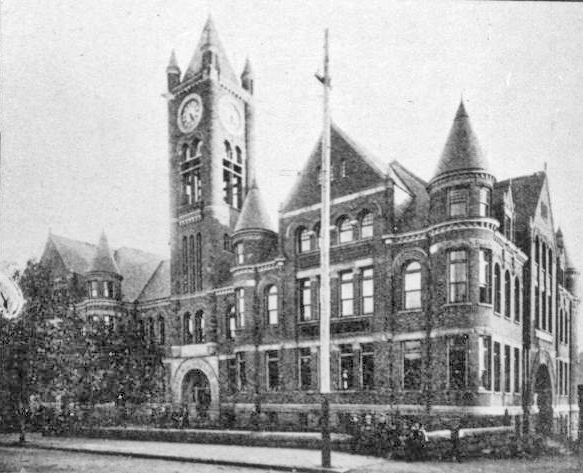 The "High School Building" was completed in 1914. It had 25 classrooms and several offices. The entire complex served as the "High School" until 1968. 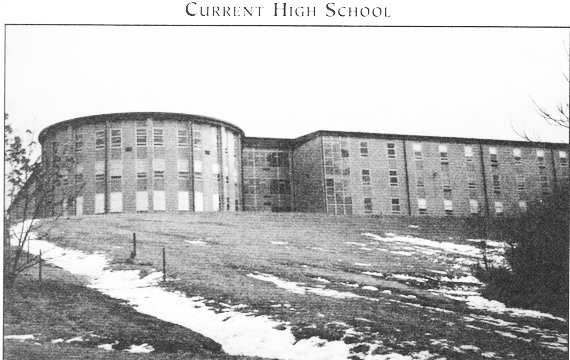 Sophomore Home Rooms were located in the Central Building, Junior and Senior Home Rooms were located in the "High School Building" along with Wood Shop, Study Hall and various offices. 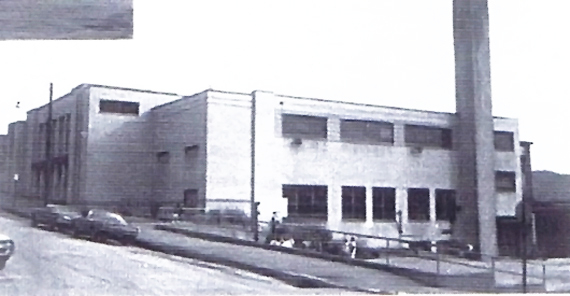 The High School building is now the main building for the East Liverpool Kent State University Branch. 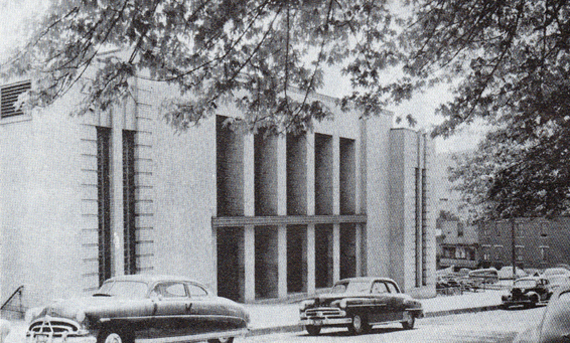 Once the Memorial Auditorium was built in 1945, it became the home for High School Assemblies and school dances. It was the largest auditorium in the city. The Potters basketball team practiced and played its home games there. Boys' gym classes, metal shop, band and choir also used the building. Stage productions and graduation took place in this building. It is now owned by the YMCA. 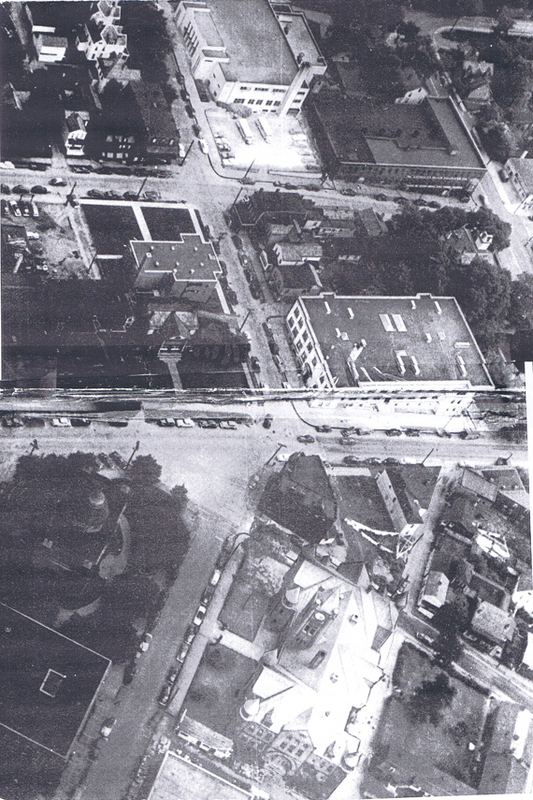 The fact that three separate buildings were used from 1945 to 1968 contributed to the physical health of the high school students. 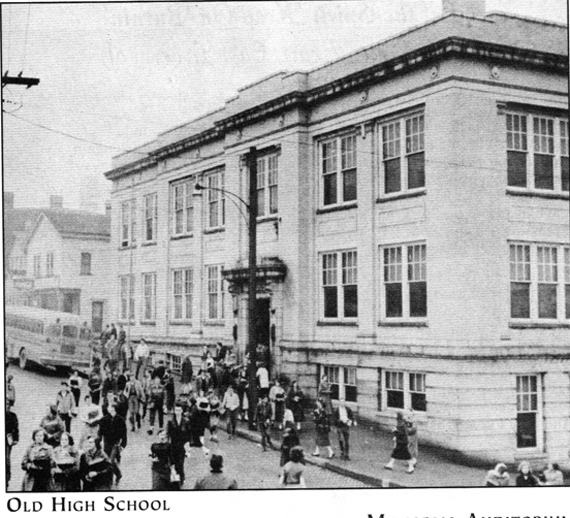 Students had to change classes after each period and that frequently meant changing buildings as is shown in the Old High School picture above. The students had a very few minutes between periods so rushing was the order of the day. A student might have to go from a class located in the Central Building to a class located in the High School Building or the Memorial auditorium for one class change and the opposite for the next. The class changing was performed regardless of weather, thus students could get a good deal of exercise and fresh air on any given weekday when school was in session.